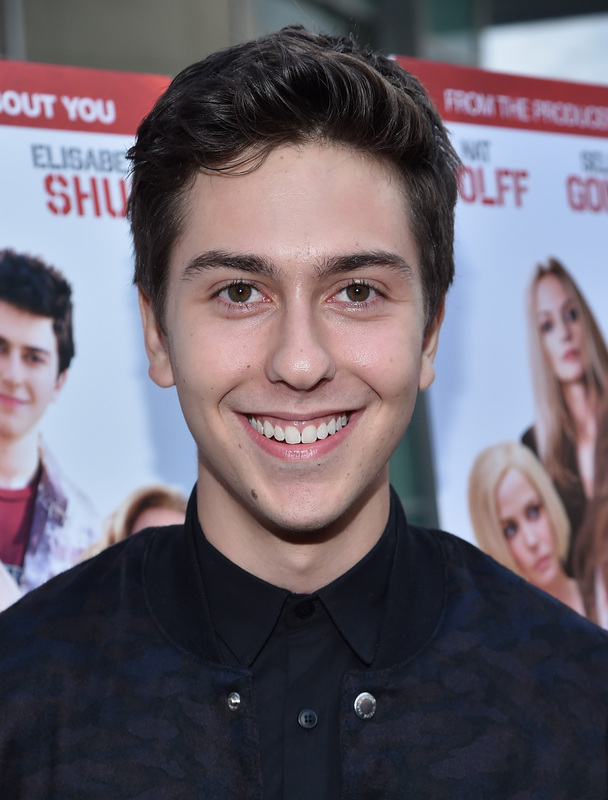 Nat Wolff is on fire. You'll remember him as the quirky best friend in The Fault in Our Stars , the lovestruck teen in Behaving Badly (and Stuck in Love), and soon you'll see him again, taking on another John Green character in Paper Towns, slated for release in 2015. The young actor oozes talent, personality and gumption, and it is truly his year to break into a much deserved leading man status. Nat Wolff spoke to Bustle about his upcoming films, and we couldn't help ask about his undeniable chemistry with author John Green. "I'm doing a movie called Paper Towns, which is another book by John Green they're making into a movie. John Green is the guy who wrote Fault in Our Stars," he said. I told Wolff we are big fans of Green at Bustle, and asked him to confirm the status of their bromance. "Totally," he said. "I love him." He continued to gush about Green, and the excitement he feels getting the chance to work closely with him again. "I'm so excited to get onto set to hang out with him, let alone work with him," he said. "He mostly left us alone acting during The Fault in Our Stars, he's just such a great guy. He's such a smart, interesting guy." "Through hanging out with him I actually learned a lot about my part in that movie and I think I'll learn a lot about Quinton in Paper Towns. He is his characters. Not many people talk like him and have that voice. It's so great to have the source right there. It's like a cheat sheet." Considering both the critical and box office success of The Fault in Our Stars, we can only imagine what great success Paper Towns will find. While casting the adaptation is still in progress, we should see the film hit theatres sometime in 2015.